Sapele is native to West and East Africa, it is medium to reddish brown with marked striped figure. Moderately durable for external use, so will need to be finished with paint or stain of your choice. 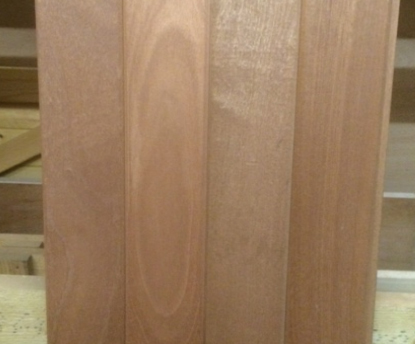 This timber is used in our wooden garage doors and gates , examples of which can be viewed within the links below. Please note the photo above is only a representation of Sapele hardwood, as it is a natural product the colour can vary.